We are deliberate in the lessons taught with the focus of encouraging the children to own their faith. 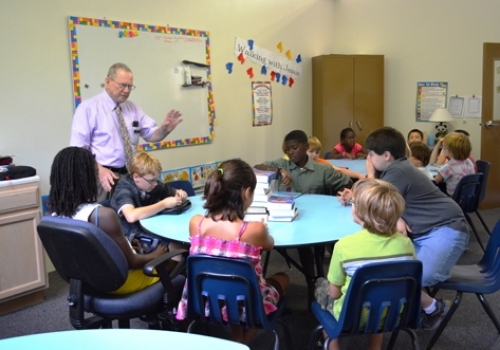 Children ages 4 to 6th grade are dismissed to their Sunday school classes from the worship service. Our Nursery and Toddler rooms are staffed for the entire worship service. We start with a family meal at 6 pm followed by choir, learning, and activities from 6:30-8:00 pm. We pack a lot into these 90 minutes on Wednesdays from Aug-May! NOTE: All children’s leaders are screened, trained and processed through a background check. We take the safety and security of children very seriously.